A simple module that able the administrator add ,remove or change social share icon and url, from backend. 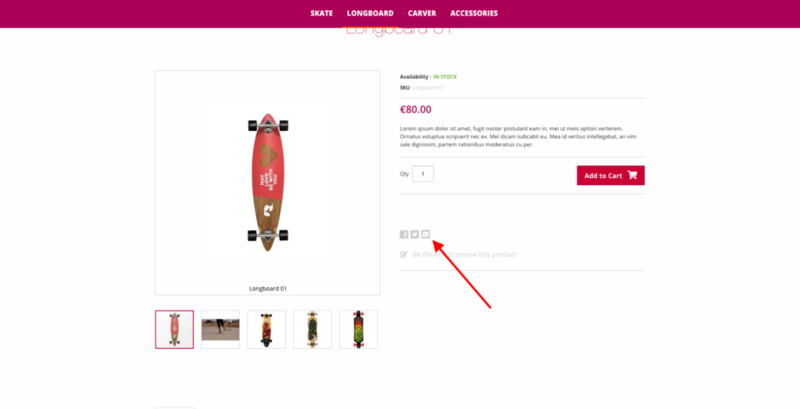 I want that social panel is visible only in single product page. First thing to do is create the block that will contain our share code, so, if we need to, add, remove, or change a share link, we don’t need to pass through the .phtml files. Navigate to “Content => Block” and “add new block”. In the content area, add the code necessary for the sharing buttons. Now open code editor and add new file called “socialShare.phtml” in “your_theme_root/Magento_Catalog/templates/product/view”. ->setBlockId('single_sharing') // This is the block identifier that you had assign when you have created the block. 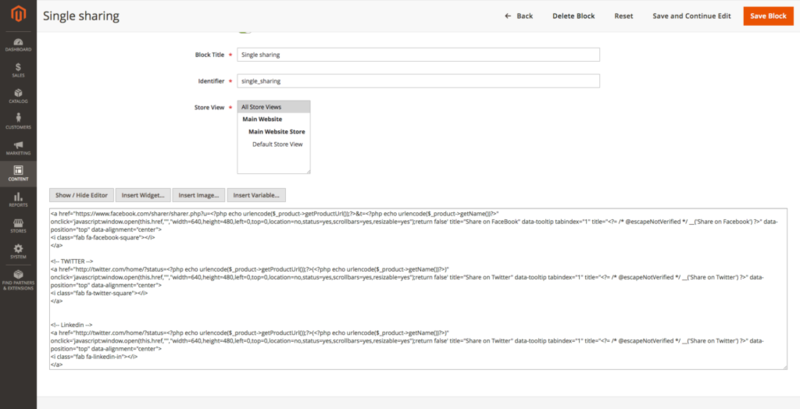 Now we need to “positiong” the block inside the single product page.